Biznextindia : The Prime Minister Narendra Modi today unveiled the plaque to mark the serving of 3rd billionth meal by Akshaya Patra Foundation at Vrindavan Chandrodaya Mandir. 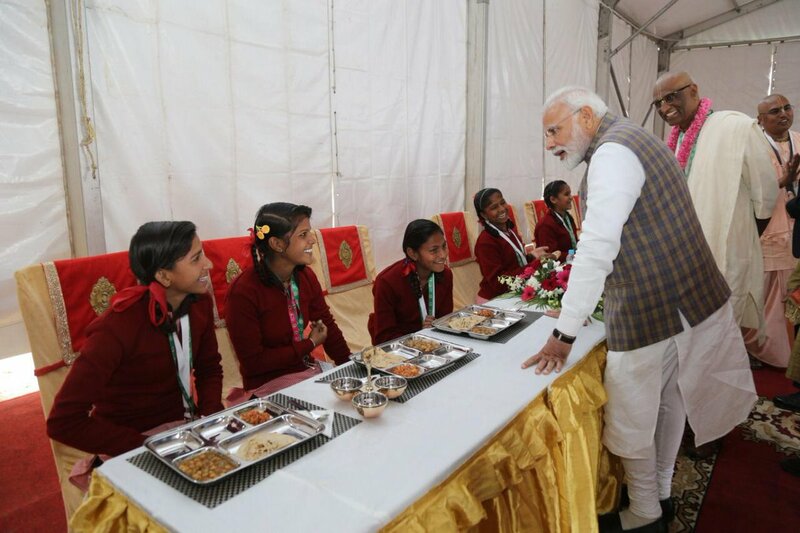 PM served the 3rd billionth meal to underprivileged children from schools. He also paid floral tributes at the Vigraha of Srila Prabhupada, the Acharya of ISKCON.